Kathryn died on April 13, 2009 after a six-month battle with cancer. She was born on October 30, 1954 in Sacramento, California, where she grew up. She was preceded in death by her parents, Gerald Edward Flaherty (in 1997) and Peggy (Siegle) Flaherty (in 2004). She is survived by her three children, Jameson Clendenin-37, Erin Earls-23, and Matthew Gabouri -18 and a wealth of aunts, uncles and cousins and other family members in the Lodi-Sacramento area as well as lots of loving friends. 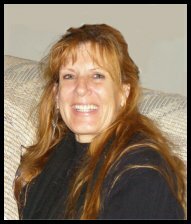 Kay was a free spirit who loved motorcycles, blues concerts, and trips to the Lake Tahoe area with friends. In recent years she worked as an administrator at the Chemical Dependency Center for women helping others dealing with addiction. A memorial service was held at noon on Saturday, April 25th, 2009, at Gibson Ranch in Sacramento.